4.1 What’s Up With That? As with general skin care, hair care should be taken seriously. 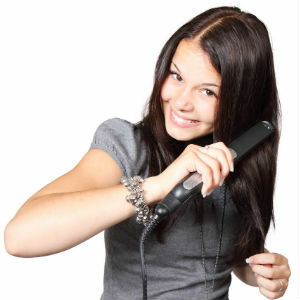 Beautiful, healthy hair is a symbol of health and good hygiene but not only that. Hair is so much more. Why is it that some people have naturally beautiful, full volume hair while others have to suffer from thin, brittle hair? Those who do know that it is difficult to find just the right ingredient. To fully understand how to take care of hair, we must understand what it is made of, how it grows. 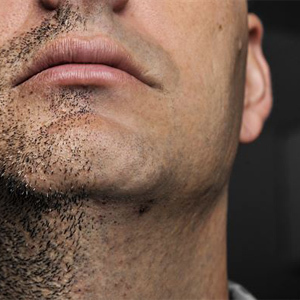 Each hair is made of dead, keratinized cells that are held together. The shaft of a hair is what we see on the surface. The root is hidden inside the skin and surrounded by a hair follicle. The oil glands surround the hair root and provide the layer that protects it. The cells multiply and die. New cells are added to the hair root making the hair longer. Normal hair loss is about 100 hairs a day. Many factors such as illness, age, genetics, stress, nutrition, excessive usage of hair products etc. can alter the speed of hair loss. Make sure you are using the right shampoo. Always get a shampoo that is suited for your hair type. A shampoo for dry hair might smell better, but it doesn’t mean that it will fit your hair’s needs. Change the shampoo often. Hair gets immune to a certain shampoo if the shampoo has been used for too long. Try a new one, see if you notice any changes. Apply the hair packs and balms once or twice a week. The more nourishment you provide, the more healthy the hair will be. Avoid using a hair dryer. It makes the hair brittle and dries the scalp out which may lead to dandruff. Trim your hair regularly. Remove the damaged ends. Combined with homemade hair conditioners that are prepared within minutes, the effects that you will get will be multiplied. Nourishing hair conditioner is specifically used for dry hair and dry scalp. It has oils that don’t leave a greasy residue but still provide enough moisture for hair to shine and look healthy. If you decide to try this honey natural hair conditioner, make sure you buy organic honey. 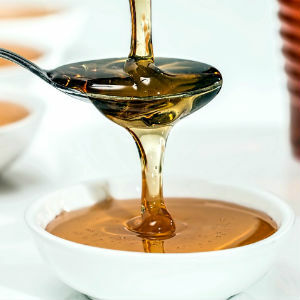 I have tried the recipe with store brands and it works all right, but there is a difference when I use organic honey. The hair seems to react to it better by becoming very soft, shiny, and manageable. So, how is this recipe different from other hair conditioner recipes found on this site? Well, this one contains honey. Other recipes are great of course, but honey hair recipes can be modified so they can be used whether you have oily or dry or normal hair. If you have dry hair and are looking for a specific recipe, check out honey dry hair conditioner and honey and yogurt for dry hair. 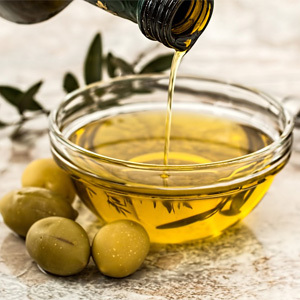 2 tablespoons of olive oil (if you have normal hair) or 1/4 cup if your hair is dry and damaged. 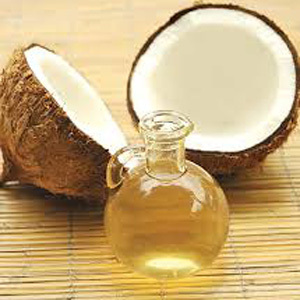 Mix the two ingredients and apply on hair making sure the scalp is well covered. For even better results, gently massage the scalp. Cover the hair with a shower cap and forget about it for 30 minutes or so. Wash the hair with a shampoo and rinse well. Dry off as you normally would. Note: Both honey and olive oil do wonders without a problem but I found that this recipe works even better if I take a shower while the conditioner is working or if I heat up the olive oil before mixing it with honey. The heat helps the nutrients penetrate the scalp better. Honey is an antiseptic and is known to clean the scalp and hair well while olive oil adds the much-needed moisture to dry out hair and just a little bit of moisture boost to normal hair. Garlic based hair loss remedy was the one that I used during my own experience with hair loss, a solution that I have finally turned to when other remedies I have tried failed. I turned to home remedy for hair loss because none of the traditional medications helped. This is by far the best hair loss remedy that I have tried, and I have tried many. I even dared to use petroleum jelly on my hair and that was, to say it gently, not a very smart choice. It sure helped with removing some dead skin cells off my scalp as it burnt the skin. 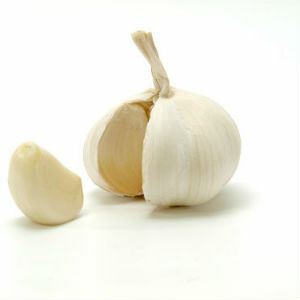 So you don’t get tempted to do the same thing I did, try this Garlic based hair loss remedy. Using biotin for hair growth, chances of hair loss are significantly reduced. Biotin vitamin also is known as Biotin 7 is a major part of skin and hair care products. Benefits of biotin are numerous: it nourishes skin, strengthens nails and hair. Biotin is good for skin, its deficiency makes skin prone to dermatitis and fungal infections. Dry skin is a possible sign of biotin deficiency and so is dry and brittle hair. It is one hundred percent true that Biotin plays an important role in the prevention of hair loss. According to nutritionists, biotin is an important vitamin for hair growth. It is also highly advisable to take biotin in addition to other medical treatments such Minoxidil, Proscar or Propecia. Biotin and hair loss are inter related. Deficiency of biotin may cause unhealthy and breakage of hair, which might finally lead to hair loss. Biotin is an important component not only to new hair growth but also keeps the skin and nails in perfect health. 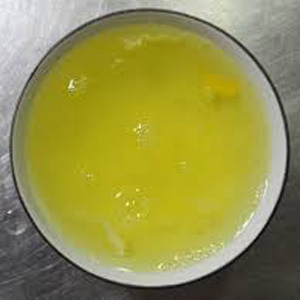 Try to avoid raw eggs in your diet since the high amount of protein contained in raw egg binds biotin and makes it non-available to the body which in turn causes a deficiency of biotin and hair loss. Always use shampoo, which is enriched with biotin and silica for preventing hair loss. Supplements are necessary to restore B12 levels, which will completely prevent hair loss. Since Biotin and hair loss are closely related, it is highly advisable to include biotin regularly in your food. Food containing a lot of biotin are egg yolks and liver. You would have to consume thousands of calories daily to get what your hair needs. Thatï¿½s why I suggest biotin supplements. 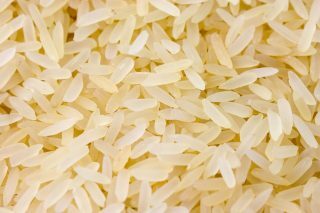 People with blood type A don’t have the ability to absorb B vitamins. As we already know Biotin, a family member of Vitamin B, is required for hair growth. Adding high doses of 5ï¿½8 grams to your food twice daily will prevent hair loss extensively. No side effects are known. Other foods containing this crucial ingredient include brewer’s yeast, green peas, oats, soybeans, walnuts, sunflower seeds, green peas, bulgur and brown rice and they may definitely help to prevent hair loss. You should be aware that persons with heartburn, acid reflux, or GERD that are taking antacids may absorb biotin less and hair loss may definitely occur. So avoid over-the-counter medications of antacids for better assimilation of Biotin and hair loss prevention. Biotin is hair food! If you suffer from hair loss I highly recommend taking a biotin supplement and using a biotin enriched shampoo. If you are making a biotin face mask, you will need 1-2 teaspoons of beer instead of 1 cup. Mix both ingredients, apply on hair (face). Massage the scalp gently (same with the face) and let it rest. For the hair, leave it on for 10-15 minutes. For the face, leave it on until it dries off. Rinse off with luke warm water. In case your hair ends are split and damaged, apply this shampoo just at the ends and follow the procedure. Hair tonic refers to a hair product that primarily stimulates hair growth. In preparation of natural hair products, this often means the use of rosemary or its essential oils. 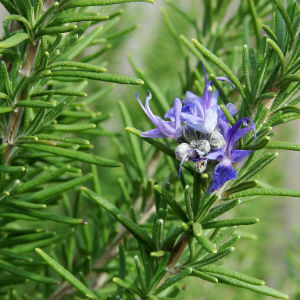 Rosemary stimulates the hair growth, and in a hair growth tonic, it its effects are amplified by other ingredients used. In addition to this, hair growth may be stimulated with the use of Biotin, also known as Vitamin B7. This tonic is helpful for activating the scalp, so it is good for people experiencing hair loss. Hair loss can also be caused by internal factors, so it is always good to check also with your doctor. Anyway, I used it when my hair was falling a lot. I never found out what was the cause, neither the solution. I started taking better care of my kidneys, using natural shampoo made out of Jaborandi (Pilocarpus) and used this tonic, which smells lovely and seemed to leave my hair quite soft. Let it simmering (low fire) for about 10 min. After washing the hair, spill it slowly on your head, being careful so it reaches all points of the scalp. Mix all ingredients well and pour into a clean bottle. Dampen your hair and apply the mix gently rubbing the scalp and making sure the mix is spread well all over the scalp and hair. Use a warm towel and wrap the hair up leaving it on for 20-30 minutes (or use a shower cap). Wash your hair with a shampoo and rinse off with cool water. This recipe provides hair growth stimulation thanks to rosemary essential oil; honey cleanses the skin of the scalp and olive oil ads nourishment. 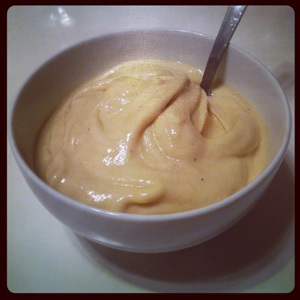 Mash until creamy. Hair has to be dry to do this. Leave it on your hair and wash out after 20 minutes. After that, use a shampoo. 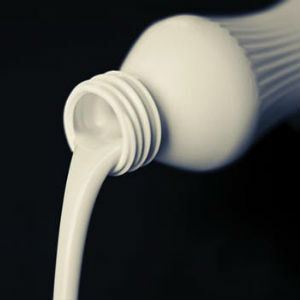 It is simple as this: after you wash your hair, wash it with some milk and leave on for about 10 to 15 minutes. Rinse off with warm water. It helps bring back the softness and natural shine. Mix it all together, apply to hair and rinse off after 10-15 minutes. Mix the two and apply on hair. Leave it on for about 10 minutes and wash off using warm water, then shampoo. 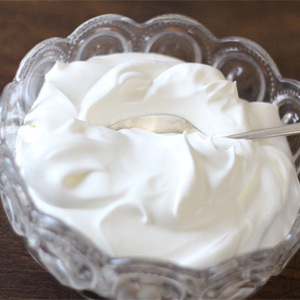 1 egg white (more if your hair is thick or long). Beat the egg and simply apply on dry hair. Leave it on until it is dry and crusty. Wash off with warm water and shampoo. Doing this a couple of times a week will help reduce the oiliness and remove the excess oil. Mix all the ingredients, apply on hair and let it rest for 10 minutes. After that, shampoo and rinse off. Mix it all well, apply on hair. Wrap the hair with a towel or shower cap and let it rest for 15 minutes. Shampoo and rinse the hair. Spray bottle – pharmacy stores usually sell them for a couple of dollars, get a smaller one. After you wash the hair with shampoo, let it dry a bit. When it is damp, spray the mix you have prepared. Mix the ingredients and apply them on hair. There is a simple way to get rid of greasy hair. Every time you shampoo your hair, mix a little bit of freshly squeezed lemon juice in. Shake the bottle well (you could use a smaller bottle for this purpose) and shampoo the hair. Rinse off well. This way, you will control the oiliness of the scalp and also, if you have blondish hair, you will actually help keep it light longer. All of these hair packs and balms are really simple.The first homemade, natural hair care product I tried was the egg white one. My hair was very greasy during puberty and that one seemed to help. My hair seems thicker and fuller, less greasy. Try them out and let me know how you liked them!